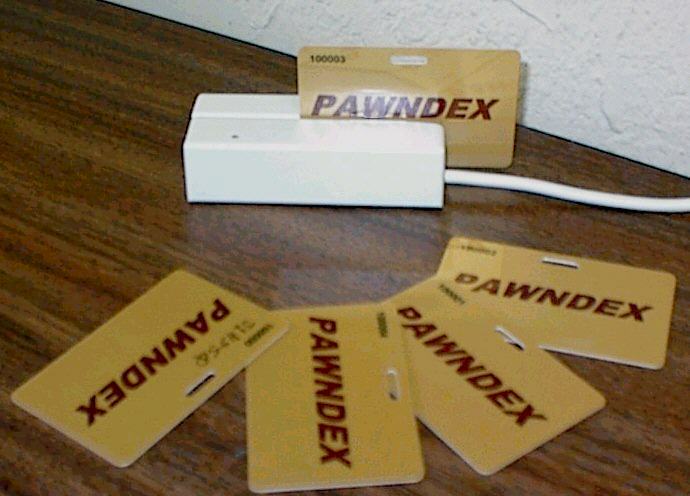 For added security, clerk identification cards may be used with Pawndex. With this option, clerks are assigned a password that is encoded on a mag-stripe ID card. The clerk runs their card through a card swipe to log into Pawndex. This prevents peering eyes from looking over the shoulder of someone logging on, and gaining access to their password.